From a previous career in software and engineering for companies including IBM, through to a 15 year stint as one Australia’s best winemakers, achieving Winestate Australasian Winemaker of the year in 2008, Mark combines his love of food, wine & travel with his passion for capturing great moments and telling stories through photography. 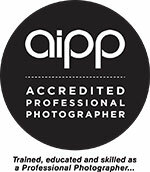 Mark is an accredited professional photographer with Australia's governing body the AIPP (Australian Institute of Professional Photography). Mark is based in the Byron Bay Hinterland with his partner Naomi.